How often do you sit back and look at something you've worked hard for and completed, and just thought for a minute, "I'm proud of that." ? If you're anything like me, it'll be once in a blue moon. For some reason in today's society we find it increasingly hard to pat ourselves and others on the back for our achievements. This is not to be confused with bragging or vanity or anything like that, what I mean is appreciating dedication and positively commending yourself or another. I think it's healthy to be proud of yourself every now and then. So I've decided to create a little blog series doing just that. 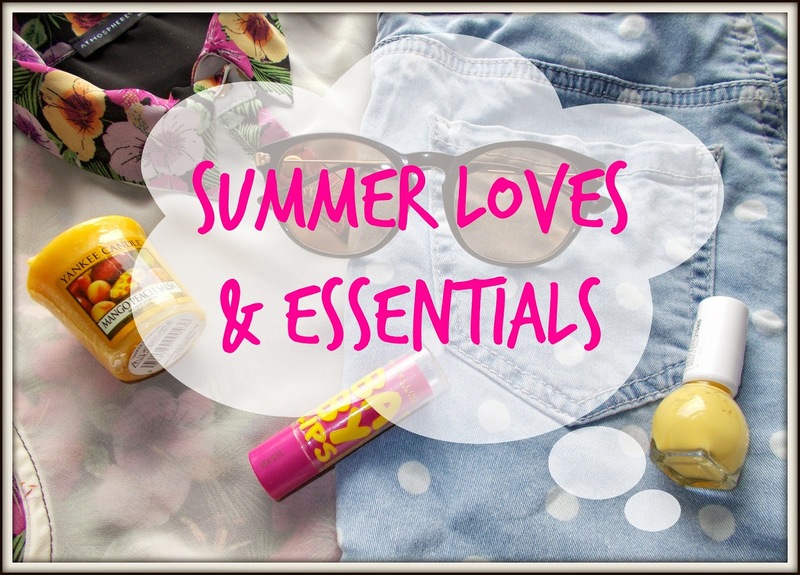 My aim is to look out for the little things that I'm proud of in myself, friends and fellow bloggers and document them in a post every Sunday. I'm not the worlds most self-loving person so I can't promise there will always be plenty of proud moments of my own but I'll try. 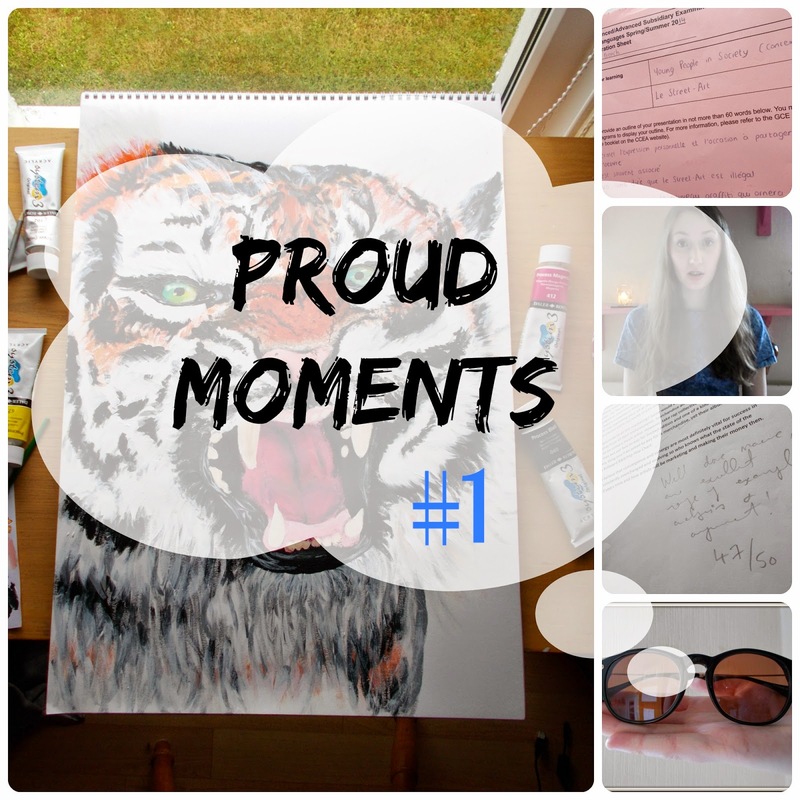 Also, if you know of someone you're proud of, whether it's just a little thing or something big, tweet me @ThriftOClock and use the hashtag #ProudMoments, telling me about that someone and what they've done to be proud of. I'll pick some and include them in a post. Don't hesitate to nominate yourself either! This week I've had a couple of proud moments of my own. The first being my AS Level French Speaking exam. I talked about it in my last post but it was basically a nerve-racking presentation and conversation in French. It was at 11:50am and the whole morning before it my tummy was in knots. It did however go quite well and it was the biggest weight off my shoulders to have it done now. 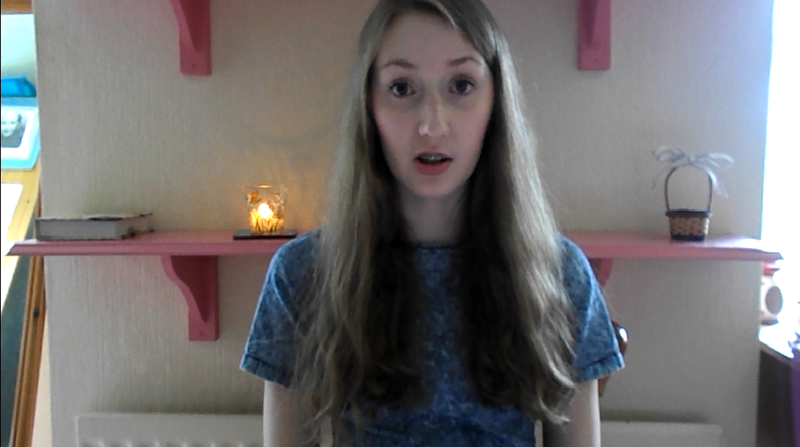 Last week I finished all my Media Studies coursework, and for my evaluation I had to film myself talking. I found out that my dad has a tripod so I set up my filming place and I felt like a Youtuber! I put a lot of effort into filming and editing it and my teacher said it paid off as it was really well done. While filming that, I also filmed a 'Get Ready With Me' video, just to get a flavour of what Youtubing would be like and I really enjoyed it. I was quite surprised at how confident I was talking in front of the camera, basically to myself. Let me know if you'd like me to start making Youtube videos as I'd definitely be up for that! Also on the topic of Media Studies, I got an essay back that my teacher marked and I did pretty well. It was on synergy and convergence in the music industry, and something that really interests me so I tried really hard, putting lots of my own opinions and experiences into it. Yesterday I put a post up which featured a collaboration with a brand who'd contacted me to offer me a voucher if I wrote a post with their product in it. Thank you Laura from Firmoo for being my first PR experience. I'm also super happy with how the photos turned out. I'm never one to take pictures of my art and show them on the internet but this one I'm really proud of. It's for my AS Level Art and I was quite shocked at how little time it took me, only about 2-3 hours. During the Summer I'm going to paint way more, I love using acrylics. do go ahead and share some of your proud moments of the week in the comments!